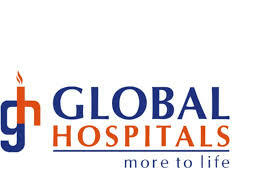 Global Hospitals Group was started in Hyderabad, Andhra Pradesh, India. It now has several specialty hospitals in Bengaluru, Chennai and Mumbai. It was founded by Dr K Ravindranath, a pioneer in Surgical Gastroenterology and Laparoscopic Surgery as a multi organ transplant center, and now also specialises as a referral center for complex surgeries and treatments in several medical disciplines. Its Chennai branch, in Perumbakkam, adjacent to the IT corridor, is the largest hospital facility in Chennai.